2019 Acura MDX Packages with Comparisons & Configurations. What 2019 Acura MDX Options Packages Should you Buy? What is the Difference Between Them? Acura's MDX has been in its current generation since 2014, so you would think this vehicle would be starting to feel outdated. Amazingly, that just isn't the case. Acura has kept up on revisions and upgrades, and the 2019 Acura MDX is no exception to this rule. This year's model has a brand-new A-Spec variant, and the transmission and idle-stop engine feature have both been tweaked. For the price you pay, you get quite a good number of standard features, including advanced driver aids. Also, the V6 engine is able to accelerate from 0 to 60 mph in just 6.9 seconds, which bests quite a few of the MDX's toughest competitors. And the acceleration itself feels smooth. The availability of the Super-Handling All-Wheel Drive (SH-AWD) system certainly helps with keeping things nice and smooth while riding along on rough road surfaces. With the addition of the A-Spec, the 2019 MDX line-up now has five trim levels to choose from. Since the new A-Spec is basically an appearance package, you can expect for it to look the most different from the other trim levels. All of this model year's trims are well-equipped, so choosing the right one for you might not be terribly easy. So, which trim level is the right one for you? Does one of them present most buyers with the best overall deal? Read through until the conclusion of this comparison review. By then, you should have a clearer concept of which trim level best fits your unique needs. 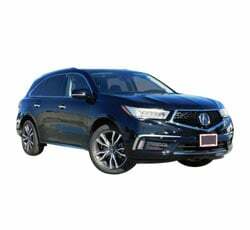 Compare the 2019 Acura MDX Standard vs Technology Packages. What is the difference? The base 2019 Acura MDX is known as the Standard trim. Up one level from it is the Technology trim. Both trim levels are powered by the same standard 3.5-L V6 engine, which generates 290 hp and 267 lb-ft of torque. On the Technology, you can opt for a hybrid variant that has a 3.0-L port-injected V6 engine. It gets 257 hp and 218 lb-ft of torque. The gasoline-powered vehicles have a compression ratio of 11.5 while the Sport Hybrid SH-AWD has a compression ratio of 10.5. Both the Standard and Technology have a combined mpg of 23 (20 mpg city/27 mpg highway) on the FWD models and 22 combined mpg (19 mpg city/26 mpg highway) on the SH-AWD versions. The Sport Hybrid SH-AWD gets 27 mpg combined (26 mpg city/27 mpg highway). A 9-speed automatic transmission accompanies the gasoline-powered models while the hybrid variant of the Technology gets a motor-integrated 7-speed dual clutch transmission. Also, while the Standard rides atop 18-inch 5-spoke wheels, the Technology is upgraded to 20-inch 10-spoke wheels. On the outside, the two trim levels have a lot of common features, including a power moonroof, power liftgate, and LED headlights (with auto on-off), taillights, and integrated turn signals on the heated side mirrors. Both trims have dual exhaust tips, capless fuel fill, and acoustic glass on the windshield and front windows. What makes these two trims different from one another are the Technology's inclusion of smart key entry on the rear doors, LED puddle lights, rain-sensing windshield wipers, power-folding capability for the side mirrors, and body-colored lower trim on the hybrid model. The interiors have quite a few similarities as well. The driver's seat and front passenger seat are 12-way power-adjustable with power lumbar support. The driver seat also has an easy entry feature. Both front seats are heated. Additionally, the Standard and Technology trims have tri-zone automatic climate control, smart entry,a push-button ignition, a leather-wrapped steering wheel, electronic tilt-and-telescoping steering column, and steering-wheel mounted controls for adaptive cruise control, lane keep assist, the audio system, Bluetooth, and the multi-information display. The Technology, however, adds controls for voice recognition and previous navigation display. Ambient lighting, an auto-dimming rearview mirror, and three 12-volt power outlets are included in both trims. The Technology, however, swaps out the Standard's premium leather for perforated leather with contrast stitching. It also features GPS-linked climate control and gorgeous natural wood trim for a more luxurious appeal. Technology is, quite obviously, one of the most definitive differences between these two trims. The Standard does have quite a few excellent multimedia features, such as a premium 8-speaker audio system, SiriusXM Satellite Radio, four USB charging ports (two per row of seating for the first and second rows), compatibility with Pandora, smartphone app integration via Apple CarPlay and Android Auto, Siri Eyes Free, an 8-inch color touchscreen display, and HomeLink with an integrated compass. The Technology trim adds an Acura/ELS Studio premium 10-speaker sound system, Song By Voice, HD radio, real-time traffic information and re-routing, and turn-by-turn guidance on the color multi-information screen. The Technology trim also gets several key safety upgrades. It has the Standard's collision mitigation braking system, road departure mitigation, adaptive cruise control, automatic high-beams, hill start assist, and anti-theft system with an engine immobilizer. However, the Technology trim adds a blind-spot monitoring system with a rear cross-traffic alert, front and rear parking sensors, and remote engine start. Compare the 2019 MDX Technology vs A-Spec Packages. What is the difference? The third trim level up is the new A-Spec. Since this is an appearance-based package, you should expect to find a lot of unique features that catch the eye. On the mechanical side of things, the A-Spec has standard SH-AWD and chic 20-inch shark grey split 5-spoke wheels, but those are the only major differentiating factors. The A-Spec's body boasts beautiful dark chrome and lighting aspects that are completely unique to this trim level. It also adds LED foglights, special dual exhaust tips, unique A-Spec bumpers, and gloss black and dark chrome trim. Otherwise, you can expect to find the rest of the standard features on its body. Still, these distinctive differences are enough to separate the A-Spec from the other trims. On the inside, the A-Spec looks rather unique as well. It has customized sport seats decked in perforated Milano leather and Alcantara trim, front seats that are heated and ventilated, an A-Spec leather-wrapped steering wheel, metallic patterns and metal trim, a red-on-silver gauge cluster, special garnish on the door sills and steering wheel, stainless steel sport pedals, and ebony headliner. As far as infotainment features go, the A-Spec is identical to the Technology's set-up. The safety features are also pretty much the same. 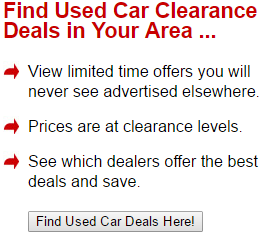 To get some real differences with regard to those features, you will have to upgrade to the Advance trim. Compare the MDX A-Spec vs Advance Packages. What is the difference? Speaking of the Advance trim, this is the only trim level aside from the Technology that offers a hybrid variant. The Advance's hybrid shares the same mechanical features as the Technology, so expect them to perform similarly. The Advance has an active damper system, which the other trims do not possess. Also, it has a machine-finished version of the 20-inch wheels found on the A-Spec. The Advance's body gets a few important upgrades. These features include auto-dimming side mirrors, roof rails, and body-colored lower trim. The interior reflects a step up in luxury as well with the addition of sport seats with perforated Milano leather, heating for the rear outboard seats, optional second-row captain's chairs (which reduces the seating maximum down to six), standard 40/40 split folding second-row seats, manual side sunshades for the second row, a heated steering wheel, a center console with a sliding tray for the rear seat, and natural wood trim (like that on the Technology trim). Standard infotainment equipment has the addition of two USB charging ports in the third row, but that is the only key difference. Regarding safety features, the Advance does get upgraded to a surround-view camera and head-up warning. Compare the MDX Advance vs Entertainment Packages. What is the difference? At the very top of the 2019 Acura MDX line is the Entertainment trim level. 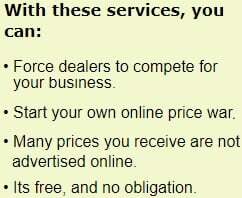 This trim can have the Technology and Advanced packages added on for an extra fee. As you can probably surmise from its name, this trim's emphasis is on entertainment. It takes everything that you can get standard and adds a 110-volt power outlet to the front center console, an 11- (with the Technology Package) or 12-speaker (with the Advance Package) sound system, and a rear seat entertainment set-up. This includes a 16.2-inch ultra-wide screen with HDMI capability with the Advance Package or a 9-inch screen with the Technology Package. You also get two wireless headphones and sliding sunshades for the rear doors. The 2019 Acura MDX is a line-up with a lot of variety. The trim level you choose will depend on the type of features you want the most. 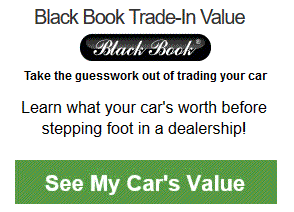 Of course, this is going to vary from customer to customer since we all have different things we want from a vehicle. So, which trim level presents the best deal of them all? For most people, the Technology trim should suffice. It is loaded with standard features, and it presents you with the option of getting a hybrid variant. However, if you do have the money to spend, the Advance really kicks things up a notch without being terribly obnoxious with its list of features.